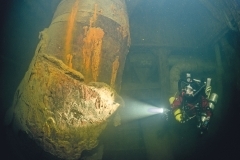 The CERTIFIED GUIDES who dive on the deck of the HAVEN (55-60 mt), have twinset , manifold stages O2/EAN 50. 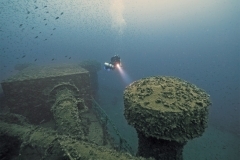 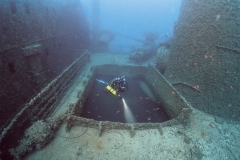 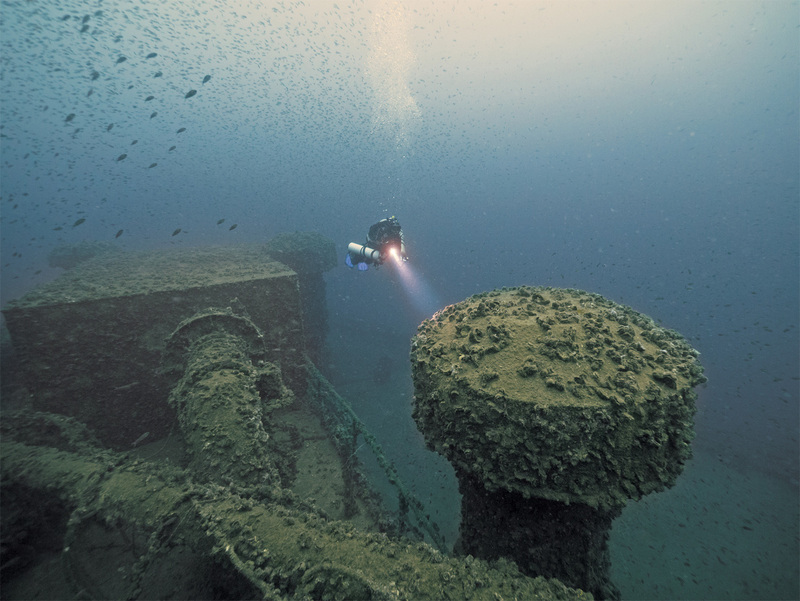 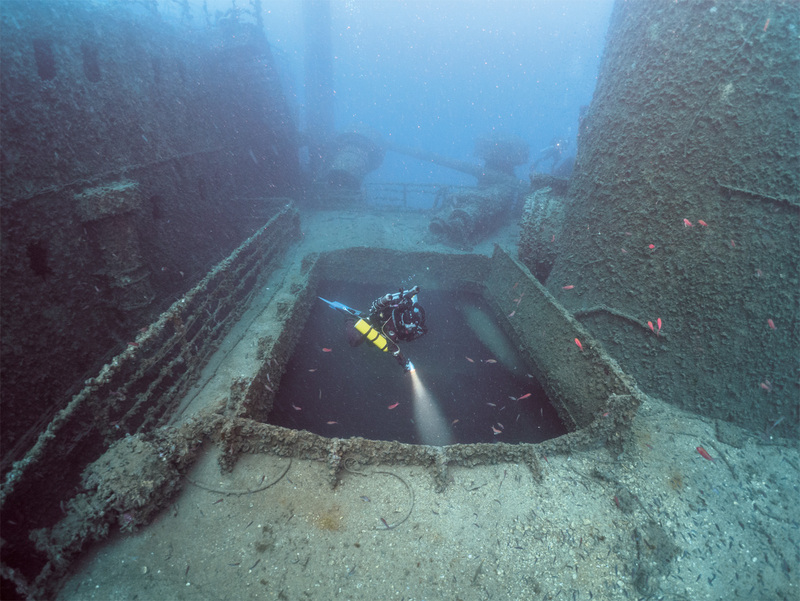 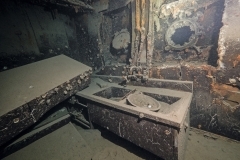 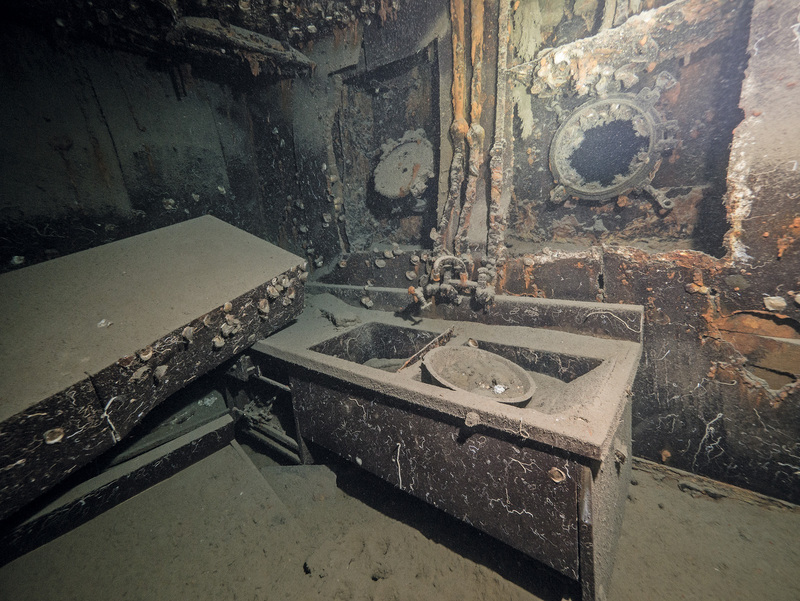 Their experience on the Haven wreck is more than 200 dives. 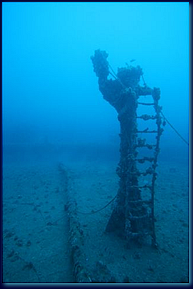 In summer there are the maximum Temperatures : 28 °C on the surface (18 °C at 60 mt e 16 °C at 80 mt). 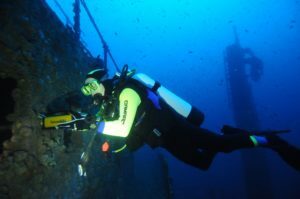 The technical dives are normally done by groups of divers , who arrive completely indipendent and organised with CERTIFIED GUIDES inside the team. 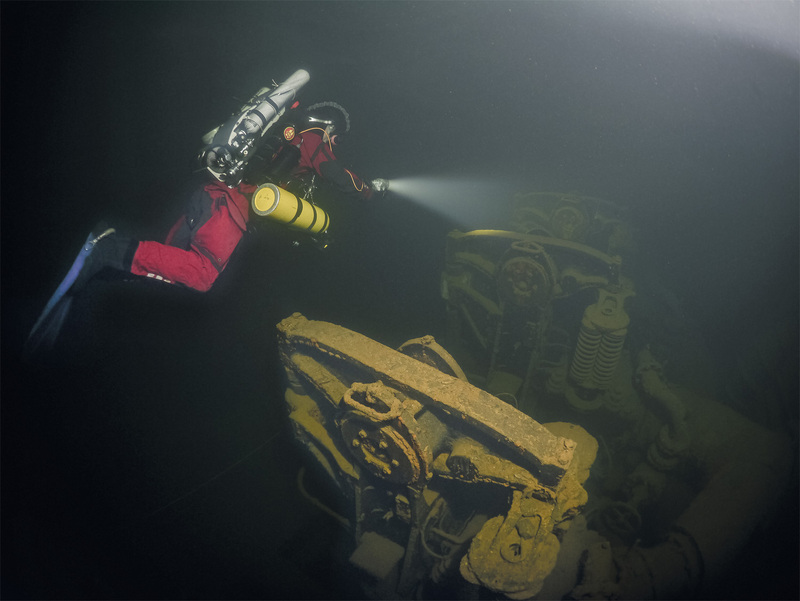 The standard Technical dives have runtime of 60 until 90-120 minutes and over. 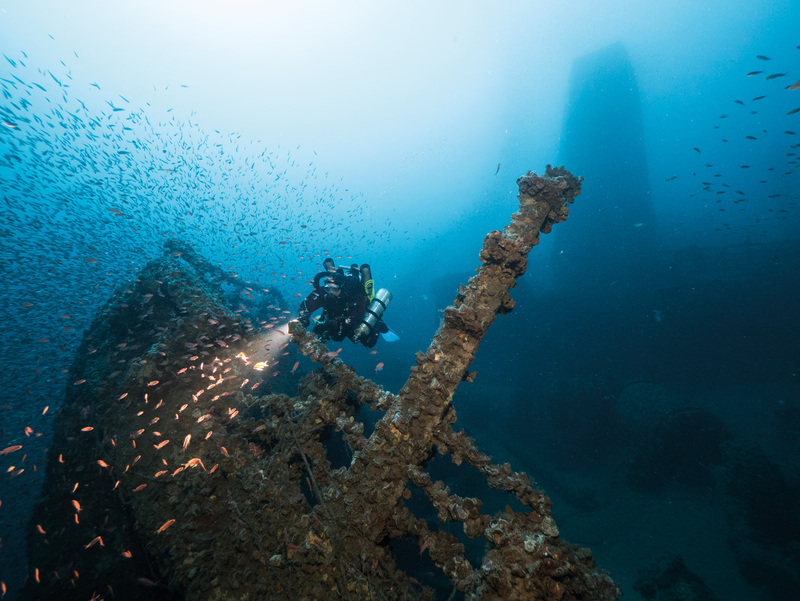 For special and extended runtime is necessary to plan and book in advance the dive. 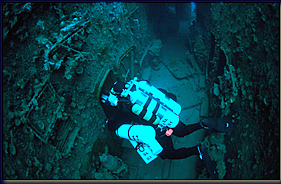 pressures: HAVEN DIVING CENTER does not use premix tools..
team, able to plan the dive. 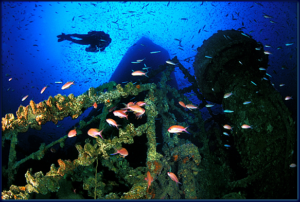 HAVEN DIVING CENTER provides certified and experienced GUIDES, who dives with AIR ( with 1 or 2 stages) until the deep 60 m.
HAVEN DIVING CENTER is also able o provide, with advanced booking, some CERTIFIED GUIDES, who dives in Hypoxic Trimix, open circuit. 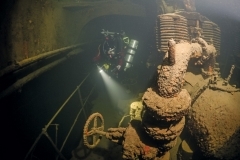 The fees must be negotiated either for GAS costs or GUIDE compensation. 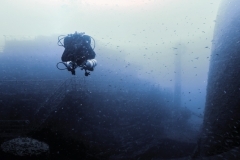 HAVEN DIVING CENTER does not provide GUIDES to DIVERS with SCOOTERS. 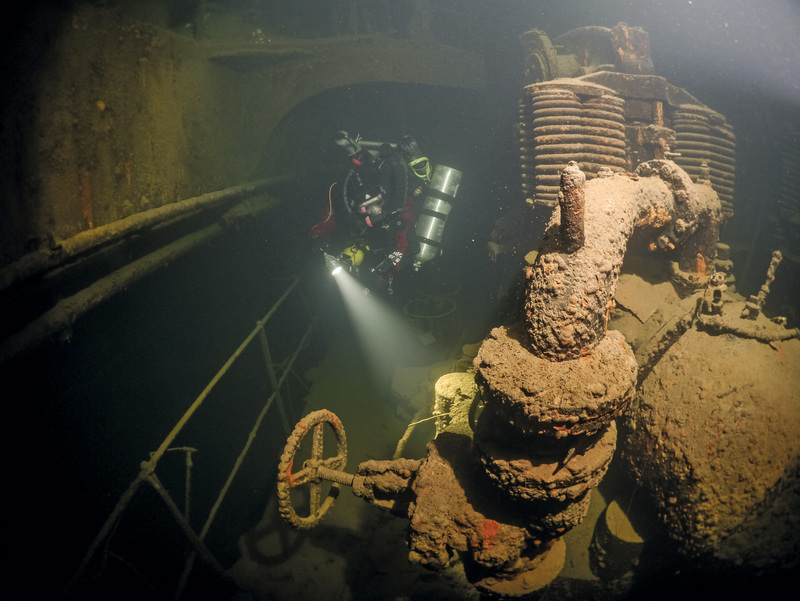 We suggest to use Trimix normoxic between 50 and 60 m depth (main deck, last 3 decks, stern and explosion hole). 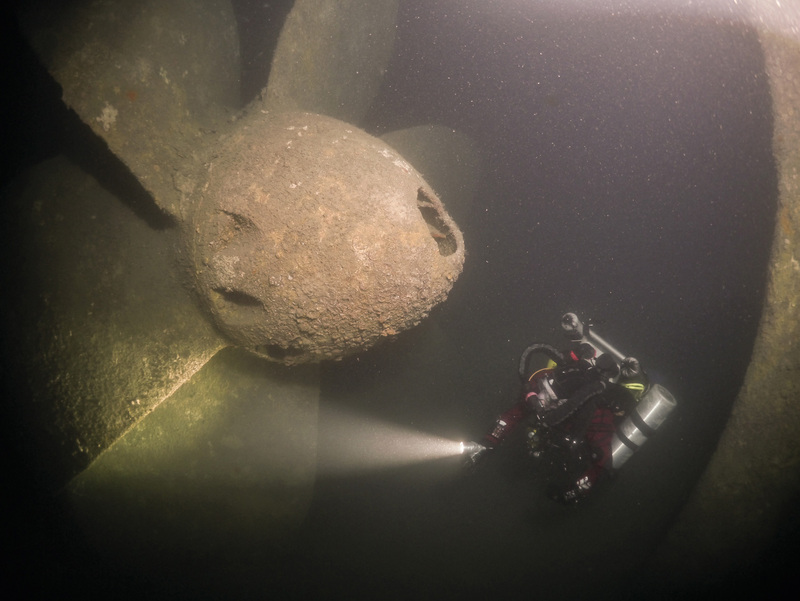 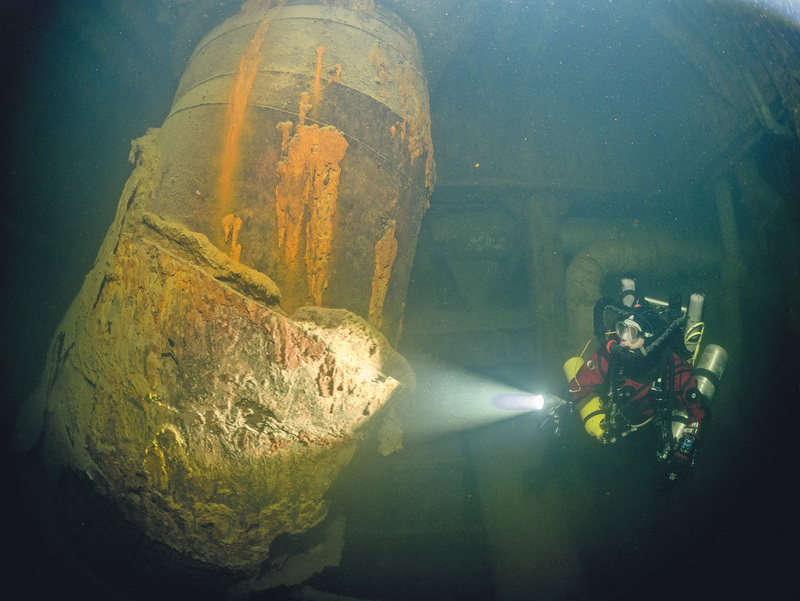 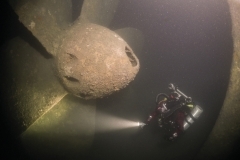 With hypoxic Trimix, divers can explore the side explosion hole, thecrack of the bow, propeller and the machine room. Generally the technical dives last 60-70 min. 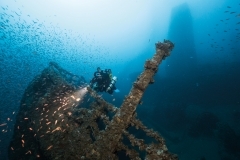 Extended dives ( 2 – 3 hours ) cost different fares, depending on the runtime and are booked with large preadvise, in order to get the best organisation.